Adobe Photoshop CC is the world’s most advanced digital imaging software, used by photographers, designers, web professionals, and video professionals. 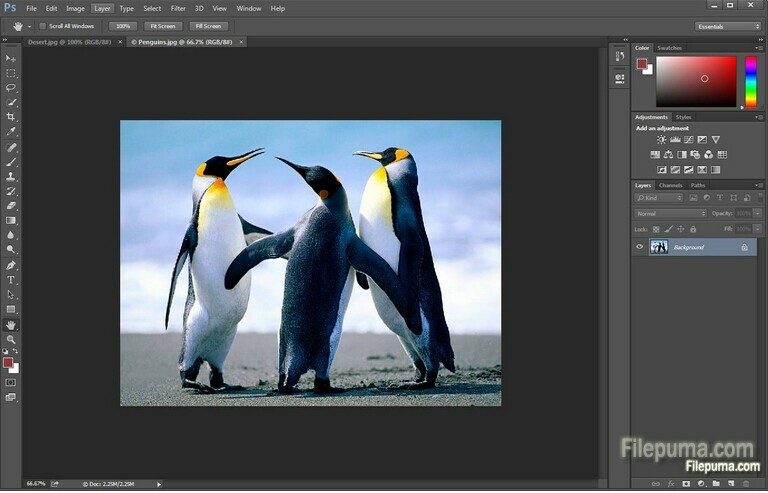 Photoshop CC is the professional standard in image editing, used worldwide by people who want to create and edit photos with superior results. As we all know, each element of the image usually has its own layer. Here is the instruction to tell you how to merge two backgrounds in Photoshop by using layers. 2. Open the image with Photoshop and open the Layers palette by pressing “F7″. 3. Click “Layer” to insert a new layer. You could keep the two original layers by placing the merged background into this new layer. 4. Click the eye icon in front of it in the Layers palette to make a layer invisible. 5. Right-click the new layer and select “Merge Visible” to merge all visible layers and all invisible layers remain intact. 6. Click “Alt”+ “Merge Visible” quickly to merge the two background layers and place them into the new layer. 7. Click the eye icon to hide two background layers, and keep the rest layers unhide. 8. Backup in case something goes wrong.